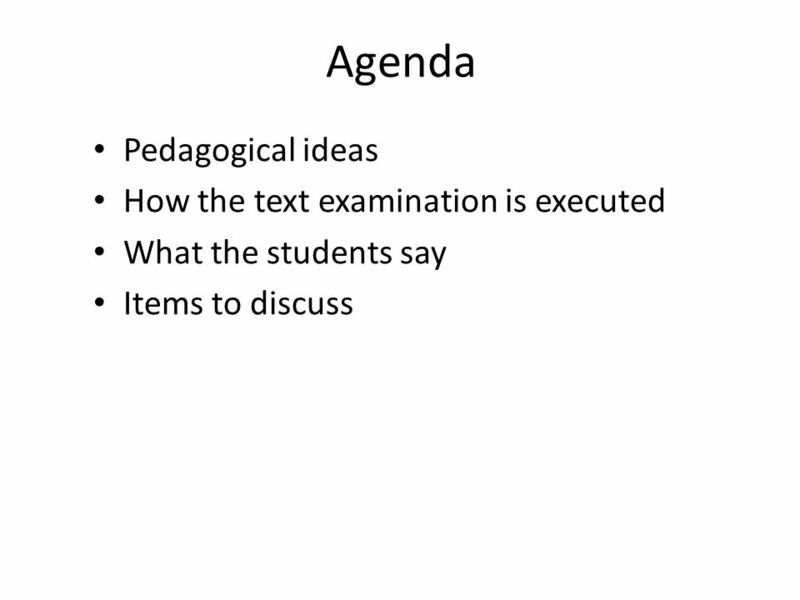 Agenda Pedagogical ideas How the text examination is executed What the students say Items to discuss. 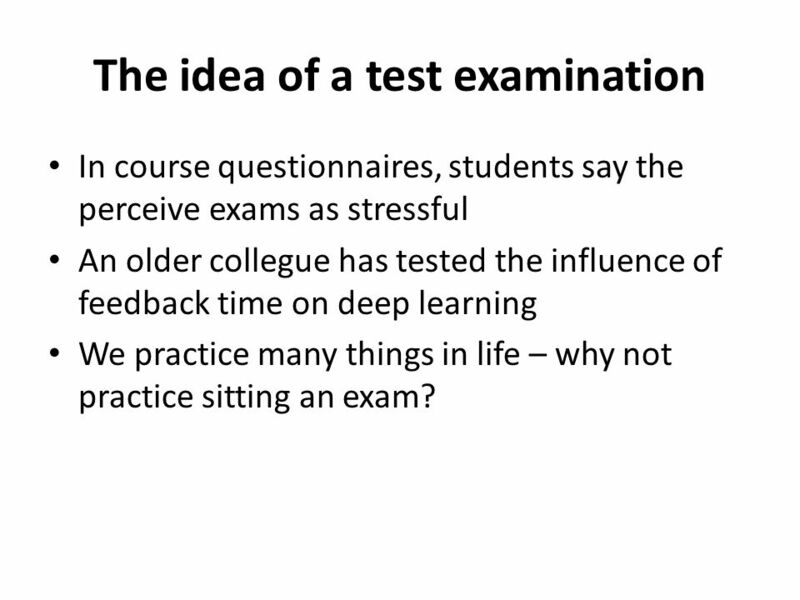 4 The idea of a test examination In course questionnaires, students say the perceive exams as stressful An older collegue has tested the influence of feedback time on deep learning We practice many things in life – why not practice sitting an exam? 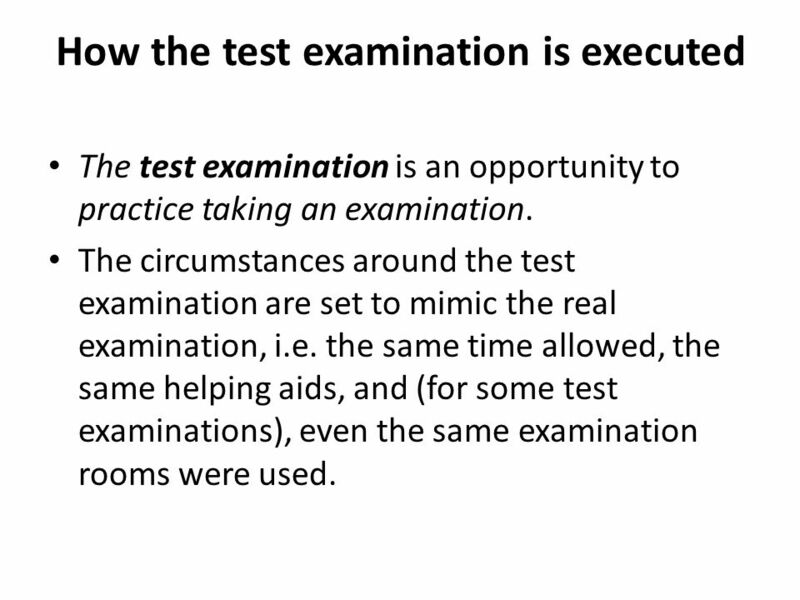 5 How the test examination is executed The test examination is an opportunity to practice taking an examination. The circumstances around the test examination are set to mimic the real examination, i.e. the same time allowed, the same helping aids, and (for some test examinations), even the same examination rooms were used. 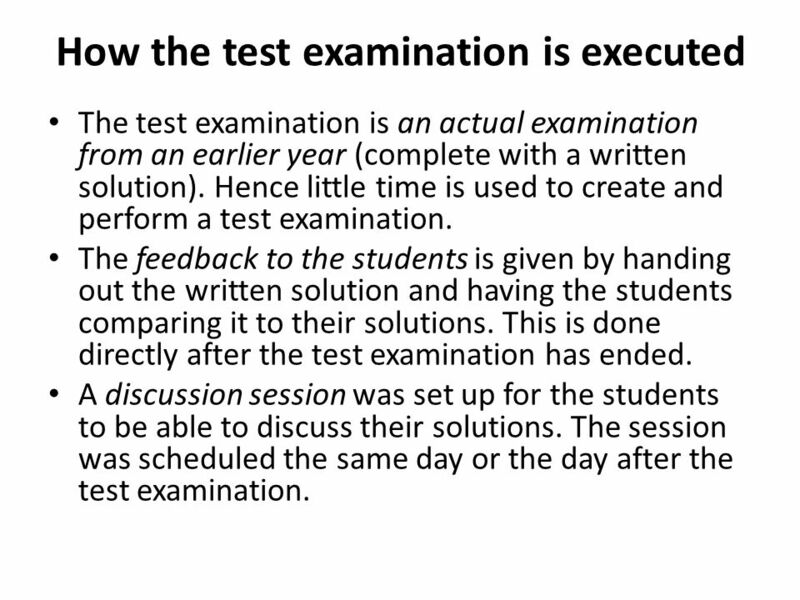 6 How the test examination is executed The test examination is an actual examination from an earlier year (complete with a written solution). Hence little time is used to create and perform a test examination. The feedback to the students is given by handing out the written solution and having the students comparing it to their solutions. This is done directly after the test examination has ended. A discussion session was set up for the students to be able to discuss their solutions. 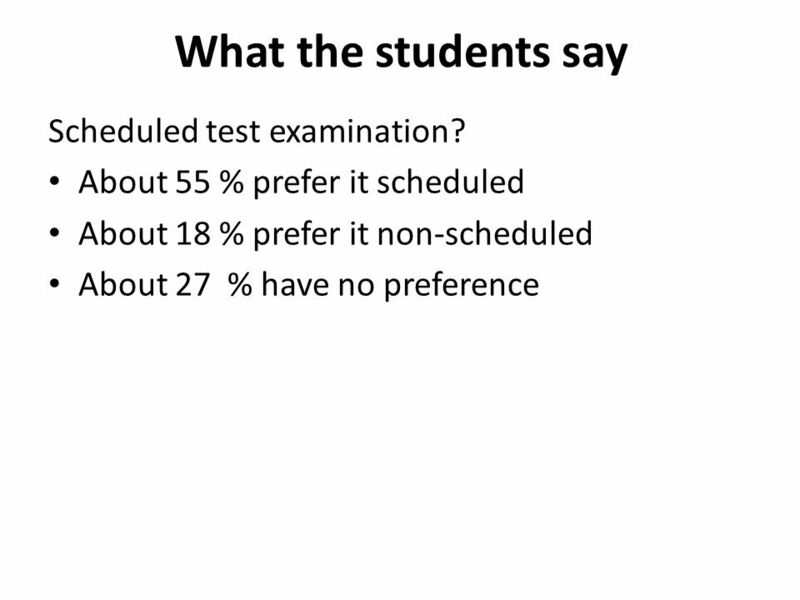 The session was scheduled the same day or the day after the test examination. 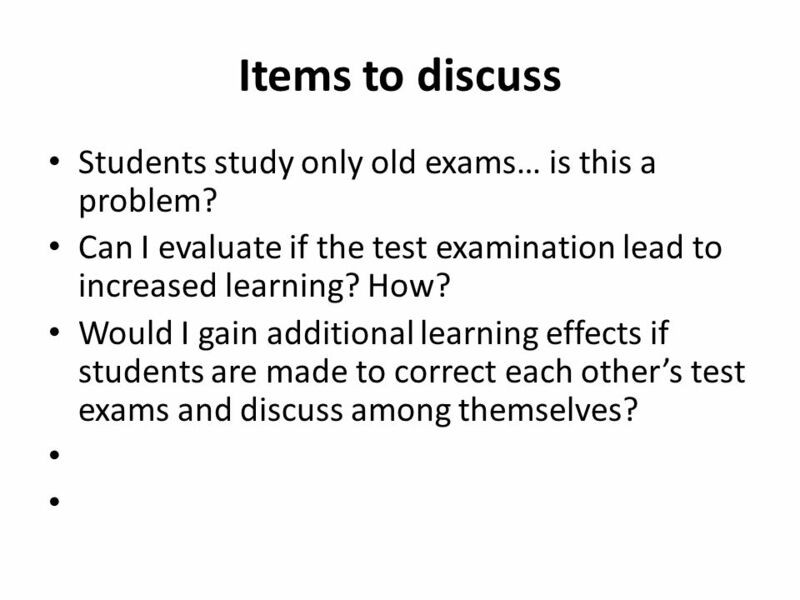 14 Items to discuss Students study only old exams… is this a problem? Can I evaluate if the test examination lead to increased learning? How? 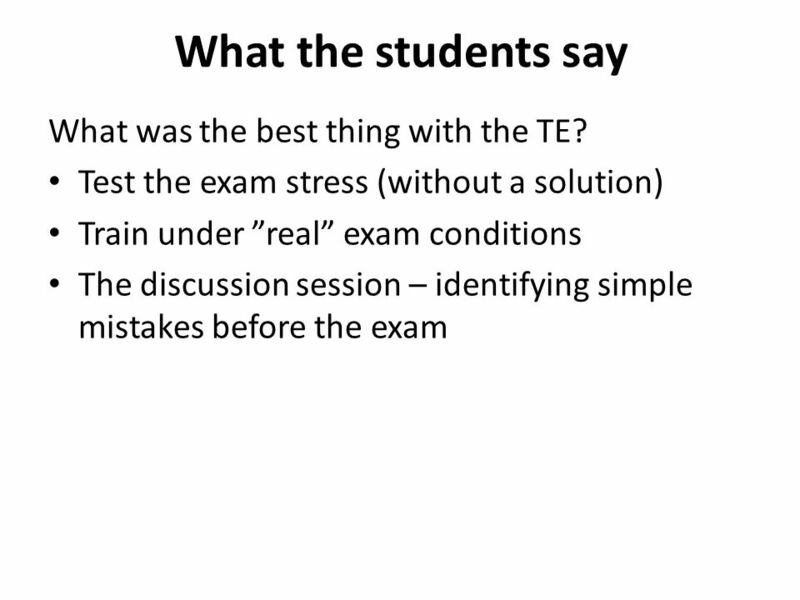 Would I gain additional learning effects if students are made to correct each other’s test exams and discuss among themselves? 15 Further Reading Bain, K. (2004). What the Best College Teachers Do. Cambridge: Harvard University Press (see also http://www.bestteachersinstitute.org - accessed 2015-02-20). 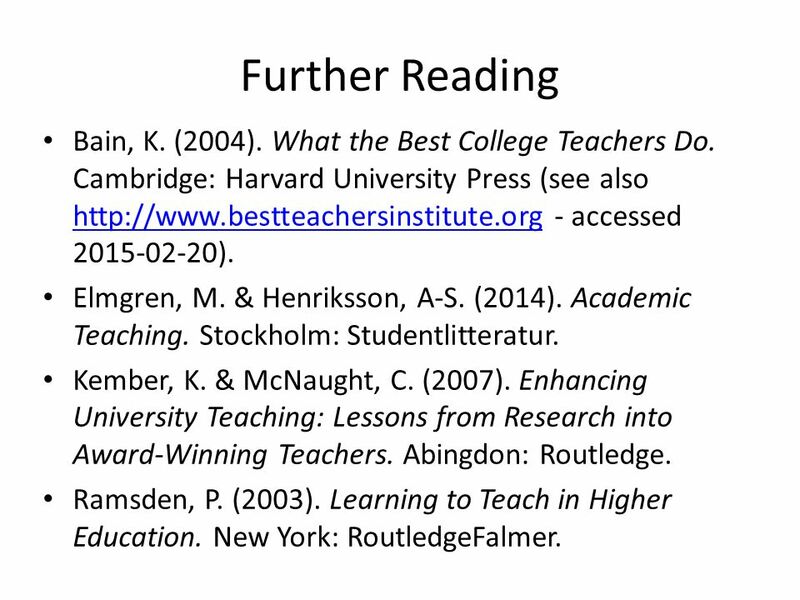 http://www.bestteachersinstitute.org Elmgren, M. & Henriksson, A-S. (2014). Academic Teaching. Stockholm: Studentlitteratur. Kember, K. & McNaught, C. (2007). Enhancing University Teaching: Lessons from Research into Award-Winning Teachers. Abingdon: Routledge. 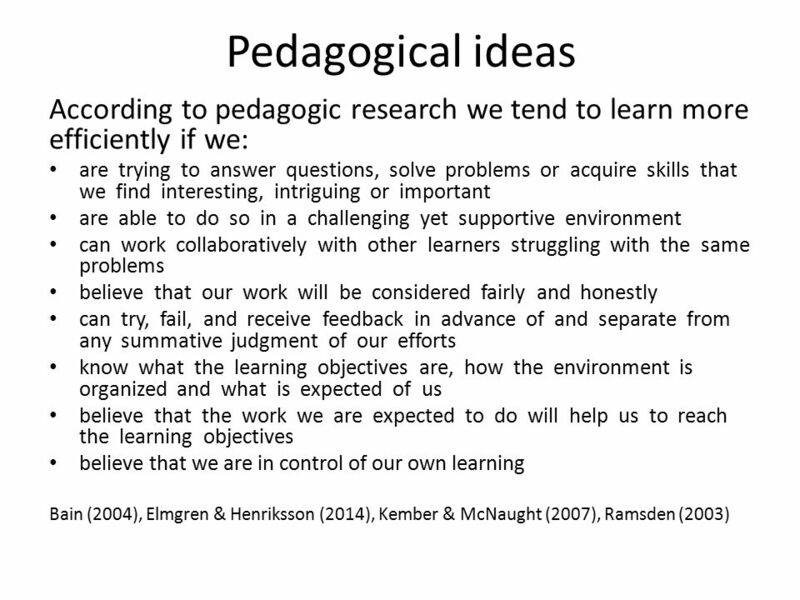 Ramsden, P. (2003). Learning to Teach in Higher Education. New York: RoutledgeFalmer. 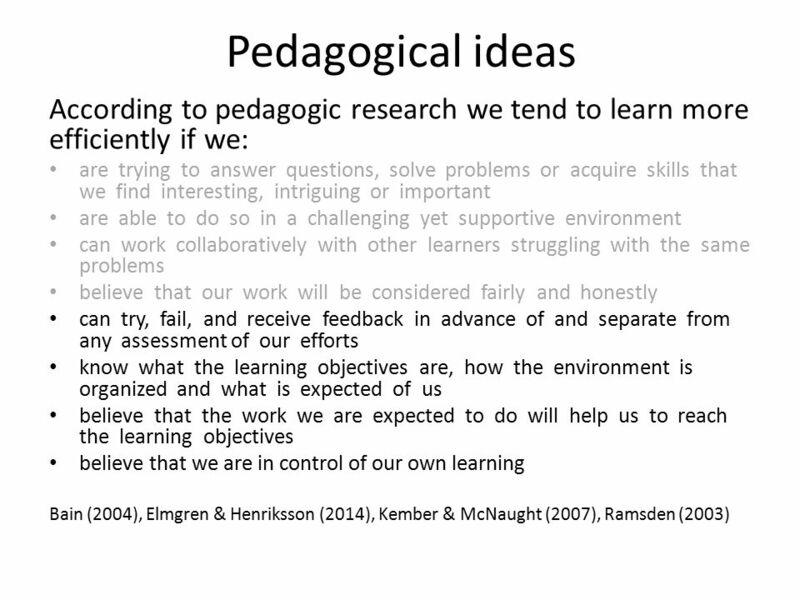 Download ppt "Agenda Pedagogical ideas How the text examination is executed What the students say Items to discuss." Professional Development Supporting Teachers in Developing Technology Pedagogical Content Knowledge (TPCK) Abstract Research is needed to identify and. What will be expected of you as a student? Student Services Orientation 2011 Angela Dierks. Reciprocal Teaching: Session 1. Twilight Course Overview Session 1: An Introduction to Reciprocal Teaching Introduction to the 4 key strategies used in. 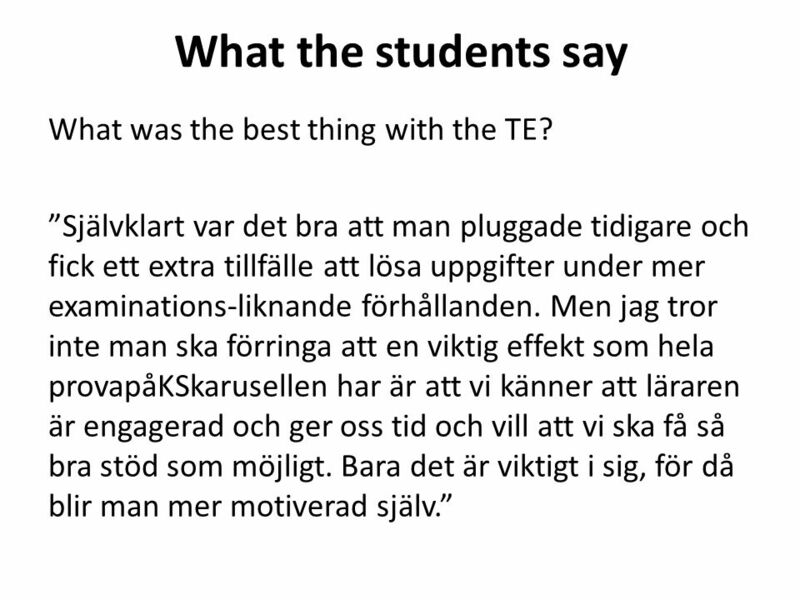 Users reactions to innovative computerised feedback – the case of DIALANG Ari Huhta Centre for Applied Language Studies University of Jyväskylä Finland. 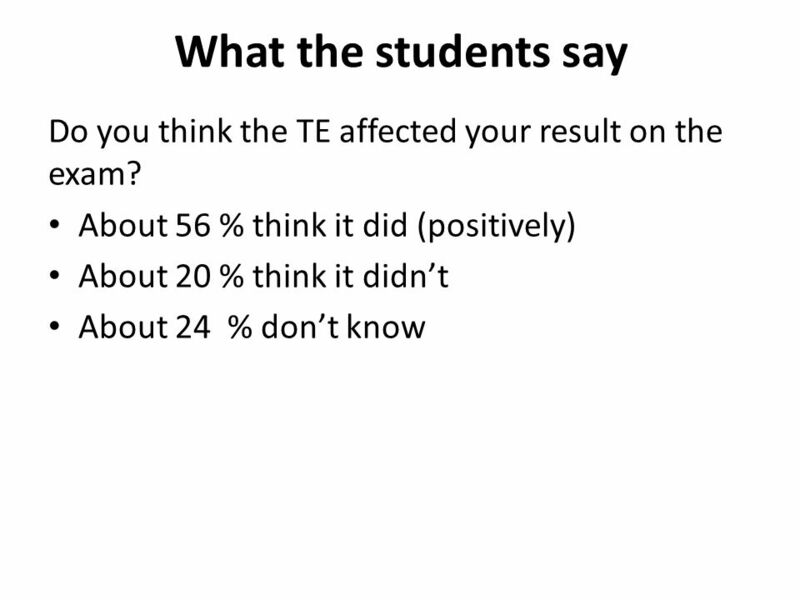 Task Based Learning Does it Work?. Generally when I teach Spanish in the class room I: Go through the new language I want students to learn. Go through. Susanne Boyle, Senior Manager Learning, Teaching and Professional Skills & Director of Jorum. What role has online learning in enabling students to acquire. 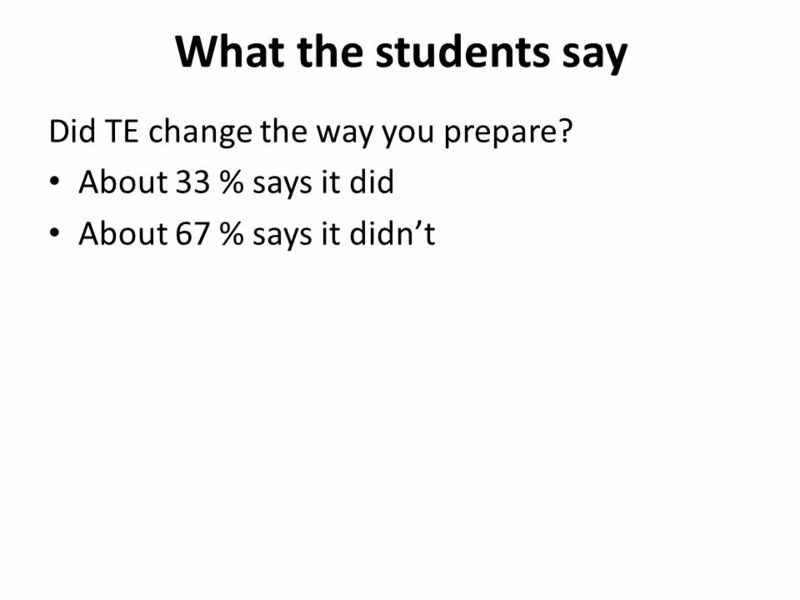 1 Using SETU data: some thoughts from the trenches Stuart Palmer Institute of Teaching and Learning. Effective lesson planning and design Vallesha Adams EDU 650 Teaching learning and leading in the 21 st century Wendy Ricci November 11, 2013. I Think I Can How Attitudes Affect Altitude and Career Goal Obtainment I Think I Can.